Welcome to Florista Flower Shop! If you visit or shop within our website, you accept these conditions. Please read them carefully. • We accept payments via Paypal or Credit Card (Mastercard / Visa / American Express / Discover Network) and Bank Deposit(BPI and Metrobank, Account details will be sent upon order completion). No orders will be processed if a payment is not received or payment method is declined. For Bank deposit, please email the deposit slip to sales@florista.com.ph or florista_flowershop@yahoo.com. • Items are entitled to be refunded or returned if the fault is on Florista’s side. 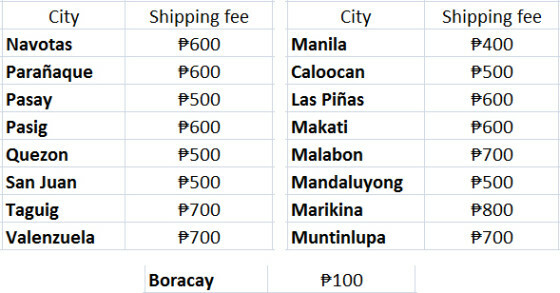 • Orders made that has no SHIPPING FEE will be counted as a “pickup order” to our branches. • Flower orders of client/s that do not pay the shipping fee upon placing an order will be considered as “pick up order”. • Shipping / Delivery fee will be paid for by the buyer in the amount agreed upon by the seller at the time of purchase or is set onto the shop. • If the flower/s is lost during shipping, the total cost of item, including shipping, will be refunded to the buyer by the seller. • Delivery of the ordered flowers will be made to the address you set in your order. • When you shop at Florista Flower Shop you acknowledge that the delivery of the flowers depends on the time and date that the order is made. Rest assured that Florista will process it as soon as possible when you made an order. • The seller is not responsible for any health or safety concerns once the buyer/recipient received flowers. If any harm is incurred from the flowers purchased by the buyer, the seller shares no responsibility.